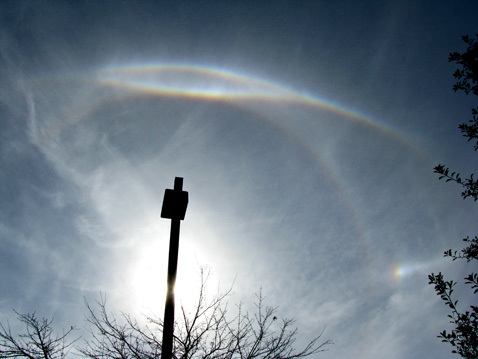 Helic arc is no news in snow gun generated diamond dust displays, but in high clouds the halo is extremely rare. Of the latter type, shown here is the latest case. The display was seen in Alpharetta, Georgia, U.S.A, in 5 December 2008 and the photo was taken by Thomas Faber. Click on the image to read Les Cowley's notes on the display. There is also a simulation included. Yeah that is a very nice parry arc there and seeing helic arc in cirrus is rare. I got helic arc in cirrus clouds in 2006 along with wegener arcs.